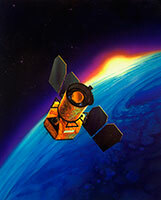 The GALEX data archive is hosted by the Multi-Mission archive at the Space Telescope Science Institute (MAST). All GALEX data is made publically available through MAST in yearly General Releases (GR) and also in smaller incremental releases to the archive every (approximetly) 4 months. The data archive has grown by over a factor of ten since the first release (GR1) in 2004 and GR4/5 now includes 25,000 deg2 of sky from nearly 20 million seconds of observing time. This constitutes 96% of the GALEX baseline mission (see Technical Documentation - Chapter 2). The next major data release (GR6) will be available at MAST in Fall 2010. Detailed GR6 release notes will soon be available in Appendix C of the GALEX Technical Documentation. A summary of changes relative to GR4/5 is given below. To access GALEX data, and for more information, visit http://galex.stsci.edu. The GALEX GR6 direct imaging data release will be delivered to MAST between April and June 2010. (The grism data release will occur shortly thereafter.) The most notable changes between GR6 and GR4/5 include changes to the bandmerged source catalog (-mcat.fits). We have removed 26 columns which are either redundant or of questionable quality. These include the "BEST" and "ISOCOR" fluxes and magnitudes. We have added 53 columns, mostly FUV measurements using the NUV source position. Flat Field : New maps were created using millions of source measurements, effectively improving the non-Poisson flux error (on average) from 1.2% to 0.8% in the NUV and from 5.5% to 2.5% in the FUV. Flux Response Trend with Time : The NUV decrease in sensitivity has been adjusted from 1.5% per year in GR4/5 to 1.3% per year in GR6. The FUV decrease has been adjusted from 0.2% per year to 1.0% per year. FUV to NUV Position Correction : The FUV photons are now corrected for temperature effects with adjustments of up to 2 arcseconds relative to GR4/5. The average (non-Poisson) positional accuracy (RMS) of the FUV sources has been improved from 0.48 to 0.34 arcseconds. Distortion Corrections : Correction maps have been produced as a function of STIM separations. Adjustments are made to photon positions on the order of +/-1 arcsecond (maximum) and +/-0.15 arceconds (on average). Magnitude Zero-Point Adjustment : GALEX magnitudes for the GR6 release are about +0.043 magnitudes fainter in NUV and +0.033 magnitudes fainter in FUV as compared to GR4/5. This is mainly due to a better CALSPEC HST spectrum for the standard star LDS 749b. GI_Doc_Ops7.pdf summarizes the changes for GALEX Ops7 Pipeline in calibration and direct imaging merged catalog (-xd-mcat.fits) for GI data releases after February 2010.